Would you like hassle free monthly rental income without the annoyances of daily property management? Nexus Property Management Nvest® is your solution! Nexus Property Management™brings years of expertise and data from our current inventory to offer the most efficient, advantageous buyer agency service. Since Nexus Property Management™ is only dedicated to rental property (We don’t do sales, REOs, etc.) our experience gives us the ability to provide accomplished wisdom into every component of investment realty; from the purchase(s) to ongoing management. The Nvest® service equips the investor with real time market information along with seasoned advice to offer the maximum probability of real estate prosperity. Nexus Property Management™ specializes with investment realty and property management ONLY. 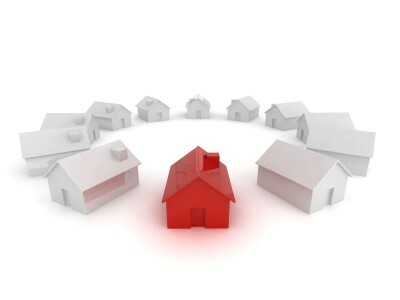 Unlike our competitors that handle rentals, sales, condo associations, REOs, and a myriad of other disturbances that contribute to their inefficiencies and service dilution, Nexus Property Management™ specifically targets realty investment and property management in order to further cohere our brand as the trade leader. Nexus Property Management™ offers the investor with an exclusive opportunity to conduct business in a closed loop with one company from purchase to ongoing management. This provides the investor the capability to secure larger returns than many conventional investment offerings without the shackles of managing property themselves. Nexus will survey your current holdings and offer our recommended approach and probable investment actions. Nexus will locate investment options that suit your capabilities/criteria along with offering a detailed analysis, fiscal modeling, and ROI forecasting using our current data for comparable properties. Collaborate with seller’s agent(s) and seller to coordinate showings. Nexus will also have your Nvest® Agent present for all viewings and property inspections. Nexus will advise, review, generate, and facilitate offer(s). Nexus will furnish and analyze any contracts needed while working to ensure our client’s best interests are safeguarded. All these services are at NO COST to our clients! Nexus™ Nvest® agents will be compensated by the property owners listing agent.